come support PR – tonight 7.00pm… – welcome! UPDATED: alert! alert! 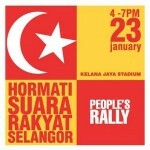 venue now shifted to stadium ipoh. …a mammoth gathering at the residence of the menteri besar. 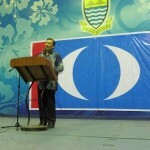 rakyat, especially those in perak, show that you do not want BN as government! you had voted in PR and now BN, lead by its ‘chief gangster’ is flexing its muscles that it is now the government. come in solidarity, lend your support, show you want PR as government. gathering to save perak pakatan rakyat (PR) today, 5 feb.
a gathering of 100 thousand rakyat will be held today (5 feb) at 7.00pm at the official residence of the perak menteri besar, together with datuk seri anwar ibrahim, opposition leader and all the menteri besar of PR, to show our support and solidarity towards perak PR and to claim back the rights of the rakyat. 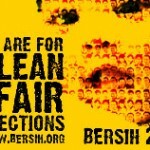 defend rakyat’s power – i, with the menteri besar and PR tomorrow thursday 7.30pm in ipoh. god willing, the rakyat will decide. 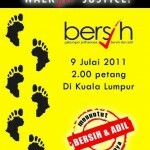 all supporters of PR and activists are urged to attend to lend suppport. please also read nathaniel’s blog about the gathering (google map to the MB’s residence can be found there) and his open letter to the sultan. 6 Responses to "come support PR – tonight 7.00pm…"
oh no sorry. there was a report – from the live coverage report. i didn’t notice it at first because it was put on hold.